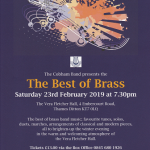 ‘The Best of Brass’ was the theme for a concert at the Vera Fletcher Hall in Thames Ditton on the 23rd of February, the first engagement of the year. 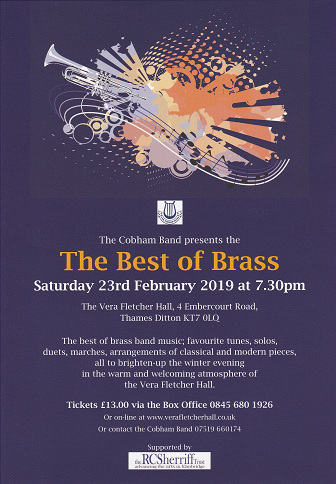 The audience and band had an enjoyable evening with some very well known brass music as well as other popular pieces that fitted the ‘Best of’ theme. Entry of the Gladiators started the show which also included Hey Jude, The Floral Dance and All through the night. Special thanks go to Billy Fletcher who was guest conductor for the evening. 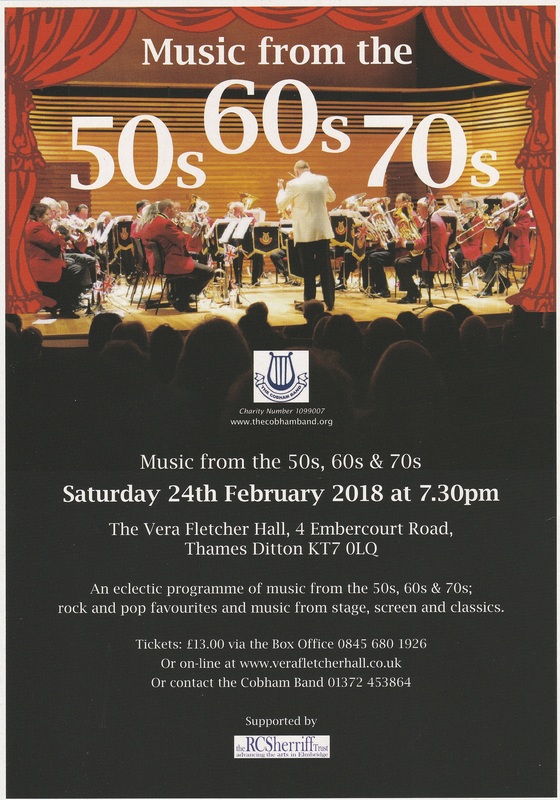 The first concert of 2018 took place in The Vera Fletcher Hall in Thames Ditton on 24th February. 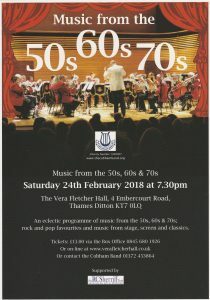 With a theme of 50s, 60s, 70s, it featured a broad mix of music styles from the period and opened with At the Sound of the Swinging Cymbal which is perhaps better known as the theme tune from 1960s music show Pick of the Pops. 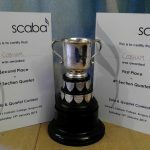 Other music included selections by Buddy Holly, The Beatles, Cliff Richard and songs Cant take my eyes off you and YMCA. 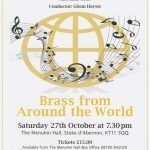 As usual the band sold raffle tickets with proceeds being shared with the bands nominated charity which this year is The Rainbow Trust.